The Summer Session at J. F. Oberlin University is a four-week intensive program in the suburbs of Tokyo. Courses offered in 2018 will be two business, two cultural classes and two Japanese language courses, all of which are developed from courses that are already part of JFOU`s regular curriculum. Each course allows participants to have first-hand experience through not only theoretical study, but also field trips and lectures by guest professionals. Upon completion of each course, participants will be issued an official transcript from J. F. Oberlin University (2credits/course). J. F. Oberlin University has nearly 9,000 students, including graduate students and students from overseas.Every year we have about 550 foreign students enrolled at the university. We also have over 140 partners schools in more than twenty countries and regions around the world. Our Japanese students acquire practical experience through a variety of programs, including not only language study and academic exchange programs but also volunteer programs and internship opportunities.The university has established five overseas offices to carry out various activities in international exchange and to support students studying abroad. The special-wards area covers 621 square kilometers and has a population of 9 million. It attracts visitors not only from abroad but also from all over Japan with its concentration of businesses and commercial facilities, well-developed traffic network, and countless cultural establishments and tourist destinations. The offices of the Tokyo Metropolitan Government, the newly-restored Tokyo Station building and Tokyo Skytree are just a few examples of sightseeing spots full of history and tradition.Continually generating new points of interest, Tokyo is undoubtedly one of the most advanced in the world. The coexistence of “old good nature and tradition” and “new culture” is a big charm of the tourist town of Machida.The city feature shopping malls, great food, and various attractions. From Machida, there is an easy connection to central Tokyo. South-East Asia with more than half of the world population, as the fastest growing market and an ever-increasing share of the world economy, is important to be studied. The selected Asian business cases are interdisciplinary and application-oriented, which will help to critically address contemporary-related international management issues to be framed in their historical and geographic ecologies. 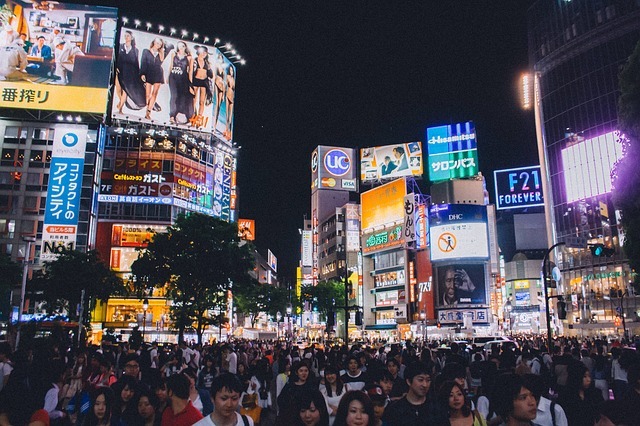 This course aims first to enable students to learn the basic perspectives and methodologies of Culture Studies in social science, and then to apply them to the understanding of contemporary Japanese cultural scenes. Students’ active participation in class discussions and critical thinking is essential. Twin size accommodation is available for the Summer Session participants. All housings are located in the vicinity of the school and are convenient for commuting. All housing is equipped with bedding, furniture(desk, chair, table), shower unit, toilet, microwave, TV, and internet connection. By studying the history and development of Japanese management style, this course provides a broad overview of political, economic, technological, legal and ethical forces that influence international management. Students can learn about cultural dimensions and cultural influences on behavior in organizations, therefore be able to understand strategic considerations for organizations operating beyond national borders. This course examines Japanese society, culture, and education from the viewpoints of Japan’s internal ethnic diversity in today’s rapidly globalizing and internationalizing world.